Temple by David Best will mark the return of Artichoke to Derry~Londonderry. Following their Lumiere Derry event in November 2013, described as the ‘jewel in the crown’ of a momentous Year of Culture in the city and attended by 180,000 residents and visitors, Artichoke are coming back with another extraordinary experience. Temple will be a huge construction designed and built by artist David Best, architect and designer of the temporary sculptural temples built for the annual Burning Man Festival in the Nevada Desert. At over 60ft tall, the work will dominate the skyline on the Waterside area of the city during its week-long public exhibition. Through an extensive community engagement programme with partners including the Nerve Centre, FabLab NI, the Department for Employment and Learning and the Waterside Neighbourhood Partnership, offering apprentice, back-to-work and voluntary training schemes, Temple will be built and raised by over 100 individuals drawn from communities across the city. On the evening of 21st March 2015, Temple will be ceremonially burnt. The design phase for the project will open up opportunities for young people to access design technology training and obtain an Open College Network qualification. 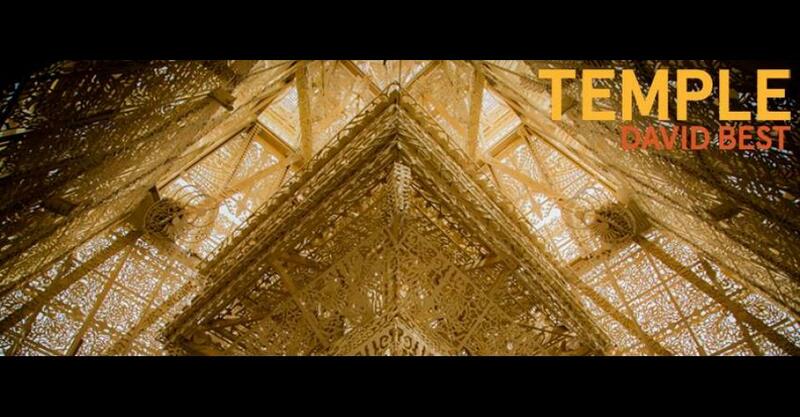 Temple will be constructed with a solid timber frame, which will then be clad with over 200 decorative plywood panels, each intricately designed by the artist and laser cut using CNC (Computer Numerical Control) technology. The first course commences on Monday 12th January at FabLab at the Nerve Centre and will run each day from 10am – 3.30pm until Friday 16th January. Up to 20 apprentices will be trained to use computer-aided design and cutting technology as they access the Nerve Centre’s FabLab facility and work towards an OCN Level 1 qualification in Digital Fabrication. FabLab is a digital fabrication workshop, which gives everyone in the community, from young children through to entrepreneurs, schools and community groups, the capability to turn their ideas and concepts into reality. Using open source design software and a selection of computer-controlled machines, users can design and make almost anything. FabLab is staffed by friendly, highly skilled technicians who offer support and training in the use of the equipment. Apprentices will gain experience in designing individual panels for Temple to be part of the finished artwork, inspired by David Best’s designs, and working under the guidance and mentorship of FabLab staff. Apprentices will be sought from across the community, and will include Key Stage 3-5 students, plus individuals drawn from local technical, arts and architecture higher education establishments.